The Army has cut back on opioid use among active-duty soldiers and offers several programs for soldiers to limit their risk from using the drugs to manage pain, Army medical experts say. About 22 percent of active-duty soldiers had at least one opioid prescription at any given time as of the end of fiscal 2016, according to Army medical officials who spoke to Army Times. That was a 19 percent drop over four years, they said. Among soldiers who are prescribed opioids, the Army reports a 45 percent drop in chronic use, which is defined as 90 days in a 180-day period. About 6 percent of active-duty soldiers prescribed opioids were using them on a chronic basis by the end of 2016. “I don’t think that’s a coincidence,” said Col. Matt Garber, director of the Rehab and Reintegration Division at the Office of the Army Surgeon General, referring to the Army’s efforts to control use of opioids, which can be highly addictive. Nationwide, high incidence of opioid use is considered a public health crisis. 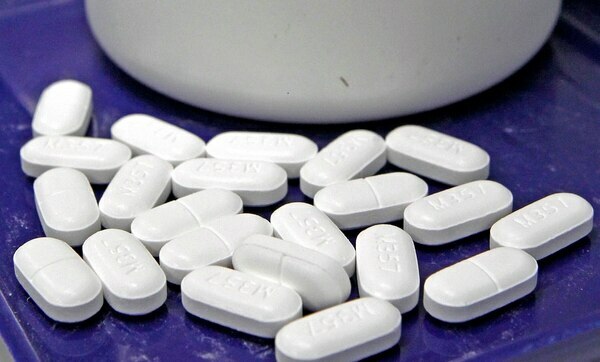 Between 21 percent and 29 percent of patients in the civilian population who are prescribed opioids for chronic pain will misuse them, according to the National Institute on Drug Abuse website this month. Opioid misuse is the main factor in drug overdose deaths nationally, with more than 33,000 opioid overdose deaths in 2015, NIDA reports. The rates of opioid misuse among soldiers are lower than for civilians, the Army reports. But opioid prescriptions have been common in the last several years for a soldier population that experiences injury and pain as part of the profession. 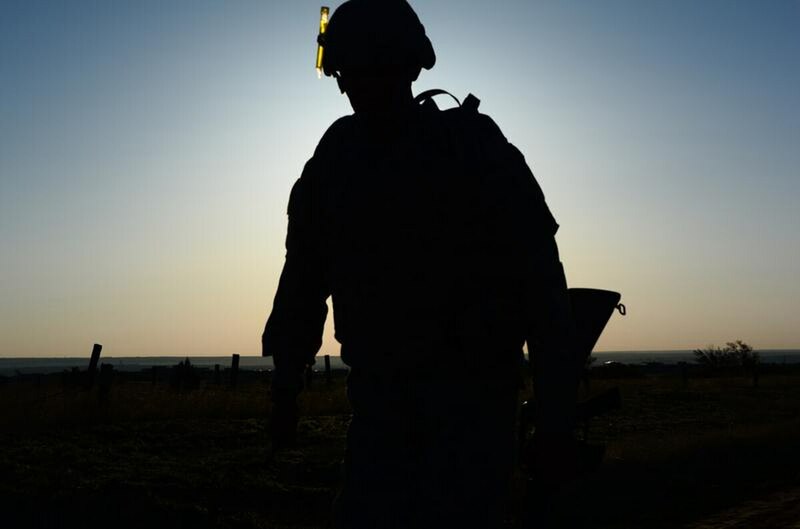 Half of active-component soldiers were diagnosed with injuries in 2015, with some soldiers having more than one injury, according to a 2016 Army report on the health of the force. A transformation has been underway, largely since 2012, to integrate and standardize management of pain, Army health officials said. An Army task force set up in 2010 made more than 100 recommendations toward standardizing the approach to care and treatment, to include the Defense Department and Veterans Affairs. The Army now has a range of programs and resources for soldiers to help them manage pain while downplaying the use of opioids. They want to treat soldiers as early as possible, to try to present problems with medications before they start. “We’ve seen such a dramatic decrease in the number of soldiers on chronic opioids that our focus really has been on a proactive approach,” Garber said. “What we saw was, if opioids are being prescribed at a high rate, and maybe they’re not being prescribed for the most appropriate conditions, let’s make sure our providers know when it is appropriate and prescribe appropriately,” Garber said. The Army is also managing soldiers’ expectations for when they should be prescribed opioids. “With education efforts, they [medical providers] may consider alternatives that may be more appropriate,” said Lt. Col. Sharon Rosser, director of the Army Comprehensive Pain Management Program at Defense Health Headquarters in Falls Church, Virginia. The Defense Department has guidelines for appropriate ways to prescribe opioids, she added. Multidisciplinary teams bring together care providers from several specialties to focus on individual patients, some who may have a complex medical and behavioral health issues. The multidisciplinary team approach helps keep treatment consistent, regardless of where the soldiers’ post or military training facility is, he said. Within the patient-centered medical home, patients have their primary care provider, a nurse case manager and also embedded behavioral health providers, physical therapists and clinical pharmacists. The Army’s Comprehensive Pain Management Program uses the team approach for multidisciplinary care for soldiers with acute and chronic pain. There are stepped levels of care for more complex patients or more severe or chronic cases of substance use, including intensive outpatient care and residential treatment facilities within the Army. Integrative pain management centers give soldiers alternatives to medicating with opioids, including movement therapies such as yoga and tai chi, acupuncture, physical therapy, occupational therapy, chiropractic services, aquatic treatment and other exercise, Rosser said. Soldiers can get help with self-care therapies, and apps are available for soldiers to use on their own, Rosser said. For soldiers who need more help for controlling substance use, the Army has set up Addiction Medicine Intensive Outpatient Programs, or AMIOPS, in locations that have a large number of troops. These are for soldiers enrolled in the Army Substance Abuse Program. For the most severe cases of substance abuse, the Army has three residential treatment facilities at Joint Base Lewis-McChord, Washington; Joint Base San Antonio, Texas; and Fort Gordon, Georgia. Care for substance use disorder has been integrated into the Army’s behavioral health programs, said Lt. Col. Dennis Sarmiento, director of the Behavioral Health Division at the Office of the Army Surgeon General. Behavioral health consultants are embedded in primary care medical homes, and behavioral health teams are embedded with brigades. “I think we’re seeing a culmination of a number of efforts that have provided a holistic overall benefit to the private, the specialist … to their leadership,” Sarmiento said. The number one thing soldiers should do is to engage care as early as possible, Sarmiento said. It’s common for soldiers to know they need treatment but feel uncomfortable about speaking up, he said. “We’ve created the structure to provide that capacity, that access to care,” he said. They have several options: sick call, their unit medic, their primary care provider, a unit’s physician’s assistant. In some units the combat medics may be doing screening to ease the workload for battalion providers, Rosser said. “Sometimes at that level, they’re more comfortable approaching the enlisted combat medic rather than the PA. There’s definitely portals of entry right there at the unit level,” she said. Another option is to see behavioral health officers within the same unit, who wear the same patch, Sarmiento said. That may be the one to see “when that Joe may feel that my platoon leader, my company commander, my first sergeant or platoon sergeant isn’t listening to me,” he said.